Dr Who The Tenth Doctor Adventures. 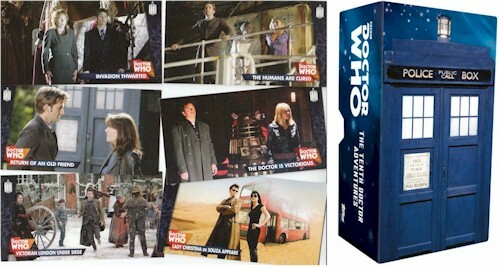 88 Card Widevision Basic Set in Tardis Themed Box. Detailing the episodes from Doctor Who series two to four, including the specials. Limited to 1500 sets - each box is hand numbered. Released 6 December 2016 - Topps.